Naturally Simple Organics was founded with an instinctive spirit and a pure objective: to prioritize our earth’s well being and foster your health, while leading the way for future generations. Our every day choices and actions contribute to either the deterioration or well-being of the environment, something none of us can afford to ignore. Now is the right time to make this planet safe for both the present and future generations. As stewards of our planet, we understand our lives are put at stake when we pollute the environment and over-consume resources. Each choice we make has an environmental impact, so it is imperative that we learn how to make the right ones. You buy a bottle of Bugaboo! We tally up the number of bottles sold and make a monthly donation to our nonprofit partners, which covers the cost of the trees. The nonprofit inspires people to plant, nurture, and celebrate trees. They teach and spread awareness about environmental conservation. From rainforests to small urban cities, they support reforestation and plant trees to clean our air and to conserve soil, energy, and water. They support communities with affordable prices for quality trees. It’s a sticky fact of life that kind-hearted gestures can have unintended consequences. Donating is often a temporary solution, not a lasting one. It can contribute to a culture of dependency. It is rarely sustainable. Instead of donating, our partners train communities and sell trees at ultra-affordable prices. Together, we’re making our world cleaner and greener. In your yard and around the world, we’re planting trees where they're needed most. More important, it forces our partners to offer trees that people actually want in their communities, trees that will grow well in that particular geographic location: trees that fit with local styles, look good, grow well, and improve the environmental health of the area. Because everyone wants a clean, healthy environment. With your help, we’ve helped plant over 7,000 trees in our nation’s forests. Collaborating with other larger companies in the tree donation, we've helped plant over 60,000 million trees. We're just getting started. These trees are national treasures — a legacy we leave for future generations. From rainforests to small urban cities: plant trees to clean our air and to conserve soil, energy, and water. For every bottle of bugaboo purchased, we plant a tree. The nonprofit inspires people to plant, nurture, and celebrate trees. It's a problem. Deforestation has many negative effects on the environment. The most dramatic impact is a loss of habitat for millions of species. Seventy percent of Earth’s land animals and plants live in forests, and many cannot survive the deforestation that destroys their homes. Deforestation also accelerates climate change. Forest soils are moist, but without protection from sun-blocking tree cover they quickly dry out. Trees also help perpetuate the water cycle by returning water vapor back into the atmosphere. Without trees to fill these roles, many former forest lands can quickly become barren deserts. Trees also play a critical role in absorbing the greenhouse gases that fuel global warming. 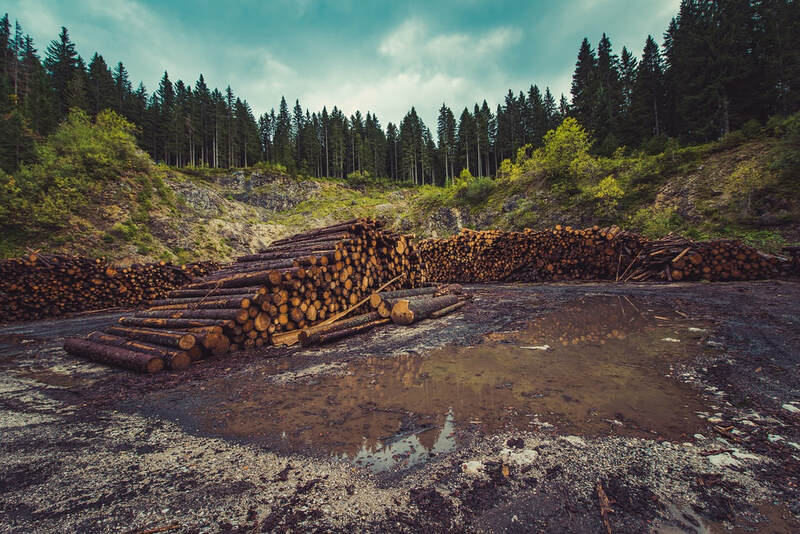 Fewer forests means larger amounts of greenhouse gases entering the atmosphere—and increased speed and severity of global warming. The quickest solution to deforestation would be to simply stop cutting down trees. Though deforestation rates have slowed a bit in recent years, financial realities make this unlikely to occur.